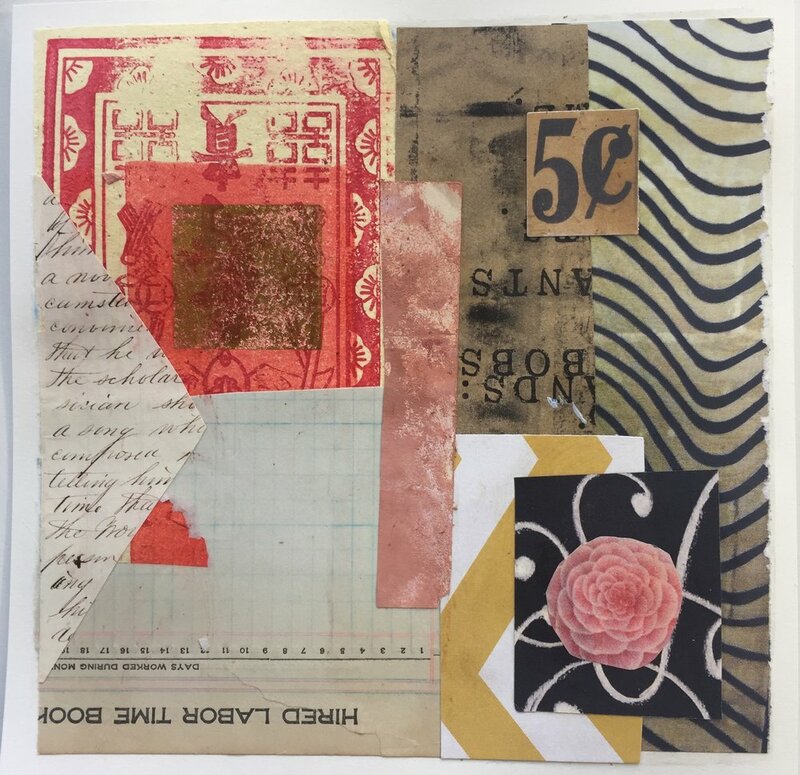 For this demonstration I show you have I go about creating multiple collages all 8 x 8 in size. This is a really enjoyable way to spend a few hours, I hope you will think so, too! Starting off I go through my stash of collage and gather pieces for the occasion. I then take the stack I collected and begin to make piles of pieces that I feel work together according to color and design. 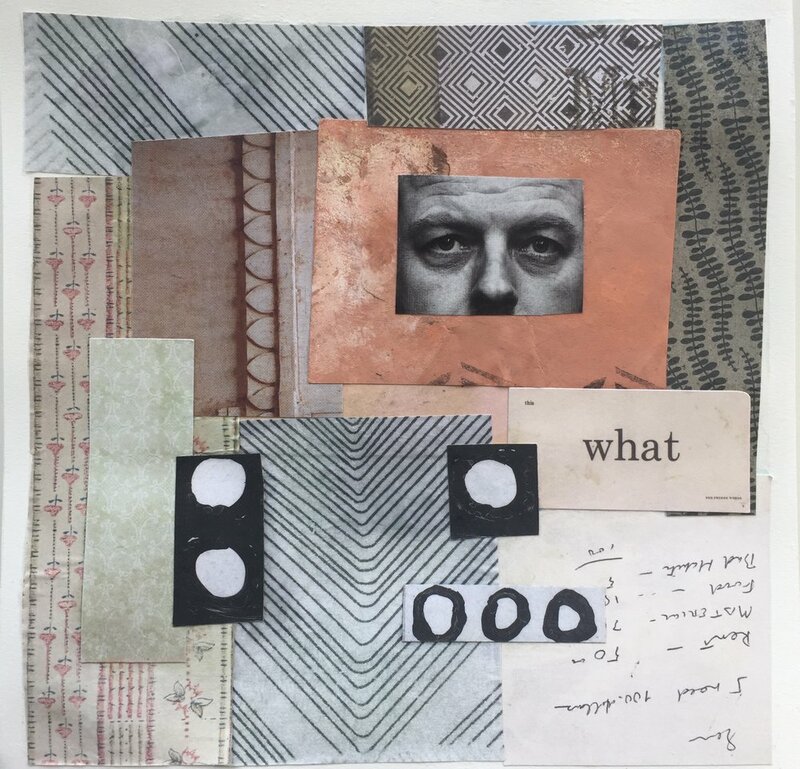 Once I have finished sorting all the pieces I then begin to work out each collage individually. Working on multiple pieces like this at one time is really great habit to get into. It helps you really get into the process and push to the next level. If you finish your pieces, but don't feel like they are "finished" see what you can add to them next to make them feel more complete. Art pastels, paint, ink? Stop when you love the piece you are working on.